A drummer and a bassist in a tiny box. 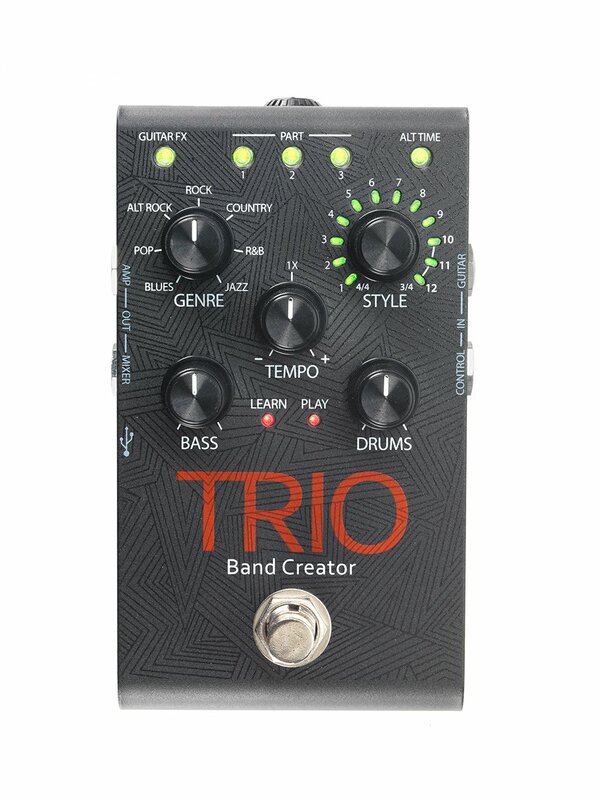 The DigiTech Trio guitar pedal adds drums and bass lines that match your guitar playing. It has 7 music genres each with 12 styles, and it can save up to three sets at a time. Drops 3/15 for $225.